Hawai‘i Island’s shores are alive with wildlife. Some of these animals, like humpback whales, Hawaiian monk seals and sea turtles, are considered ENDANGERED SPECIES and are protected by federal laws. Dolphins and other whales, though not endangered, are protected by the MARINE MAMMAL PROTECTION ACT. Hawai‘i’s marine mammals are fascinating and easily observed creatures, which are the main reasons why nature-based tourism is a popular segment of the visitor market. 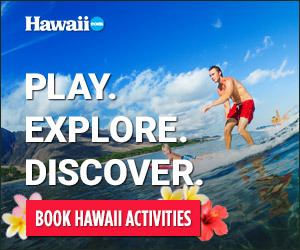 Scores of tour boat companies and water-based activities on Hawai‘i Island cater to whale and dolphin watching. 1. Stay at least 100 yards from humpback whales and 50 yards from dolphins, monk seals and sea turtles. 2. It is against the law to approach, chase, surround, touch or swim with marine mammals, including dolphins. 3. If approached by a marine mammal or turtle while on a boat, put the engine in neutral and allow the animal to pass. 4. Do not harass, swim with, hunt, capture or kill any marine mammal. 5. Feeding marine mammals is prohibited under federal law. 6. To report suspected violations, call the NOAA Enforcement Hotline at (800) 853-1964. Local author and proprietor Robert Wintner, also known as SNORKEL BOB, has several books available that dive deeper into the topic of Hawai‘i’s protected reefs and the marine animals that call them home. Every Fish Tells a Story records the tales of fish and their underwater communities through stunning photos taken by Snorkel Bob himself, while the tome Neptune Speaks and the novel Flame Angels both underscore the values of wilderness and the need to protect our natural resources. All books are available at Snorkel Bob’s outfitters on all islands, and 100 percent of proceeds from book sales accrue to the campaign to stop the aquarium trade.